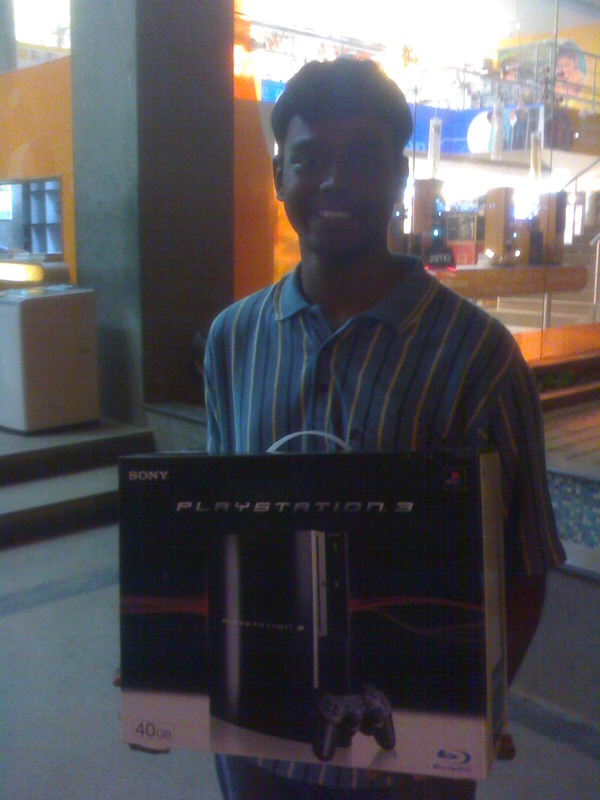 Bought a PS3 (“Cameron”) yesterday night around 1930 IST. Probably load it up with Linux later. This is one of the best talks that i was in. Very practical. Now if i want to write a real-time process in linux, I know where / what to look for.Enjoyed it ! This was very usefull since we are using talloc in the mapi provider for evolution which we are writing now. And also how the underlying talloc works over malloc. Basically a demo of pulse audio. How it works. and some internals. Now i know why it rocks and it is called ‘compiz for sound’ or ‘ear candy’. 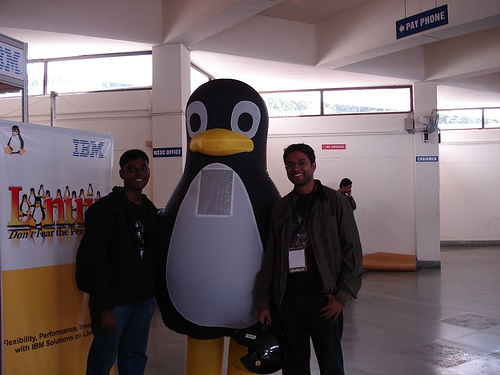 FOSS.IN/2007 was designed to inspire new contributors. It is very clear that they (the organizers – Team FOSS.IN) didn’t want this to be very technical (Ulrich Drepper commented that his talk was rejected beacause it was `too technical` and he had to redo something else 🙂 ). Hope to see more technical talks (and the right balance for beginners ) in the coming years. Overall it was fun ! Great work ‘Team FOSS.IN’ !! Looking forward for FOSS.IN/2008 . Soon after the release of openSuSE 10.3 , Contributors recieved Boxed versions of 10.3. (I recieved it few weeks back) . Feels Good !! Awesome .. Had lot of fun (hacking). Learned a lot !! This week I wrote more lines of code than ever 😀 .. . The idea that i worked on wasn’t so big .. .. but they were fun to work with … Ate lot of junk food !! Update 1: Today was one of the most *peaceful* day .. I was calm .. No chaos .. Felt better … awesome ..